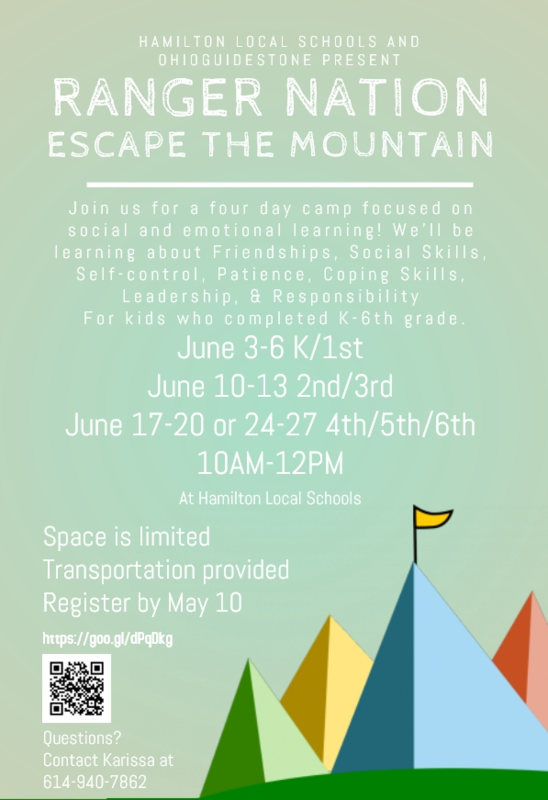 Our district has partnered with OhioGuidestone to present a FREE four-day summer camp focused on social and emotional learning! The camp is open to children who have completed grades K-6 during the 2018-2019 school year. Each participant will be learning about friendships, social skills, self-control, patience, coping skills, leadership, and responsibility. Registration Deadline is May 10, 2019.